Scott each and Winny went to the Café Flores wanting to escape their normal teen troubles; now, held hostage at gunpoint, they just want to leave alive. Perfect for fans of This is Where It Ends and Party. 10PM: Closing time at Café Flores. The door should be locked, but it isn't. Scott Bradley and Winsome Sommervil are about to become hostages. TEN MINUTES BEFORE CLOSING: Scott's girlfriend breaks up with him in the café's basement storeroom because he's late picking her up for the big end-of-the-year party. Now he can't go to the party, but he can't go home, either?not knowing his dad will still be in a drunken rage. Meanwhile, Winny wanted one night to let loose, away from her mother's crushing expectations. Instead, she's stranded at the café after her best friend ditches her in a misguided attempt at matchmaking. Jessica Bayliss is an author with a Ph.D. in clinical psychology who loves all things reading and writing. Her work crosses genres including romance, urban fantasy, and horror. Because one cannot live on writing alone, Jessica also spends a great deal of time with friends and family. She is a lover of all animals especially one very special Havanese and one extremely ornery cockatiel. She lives in Conneticut. 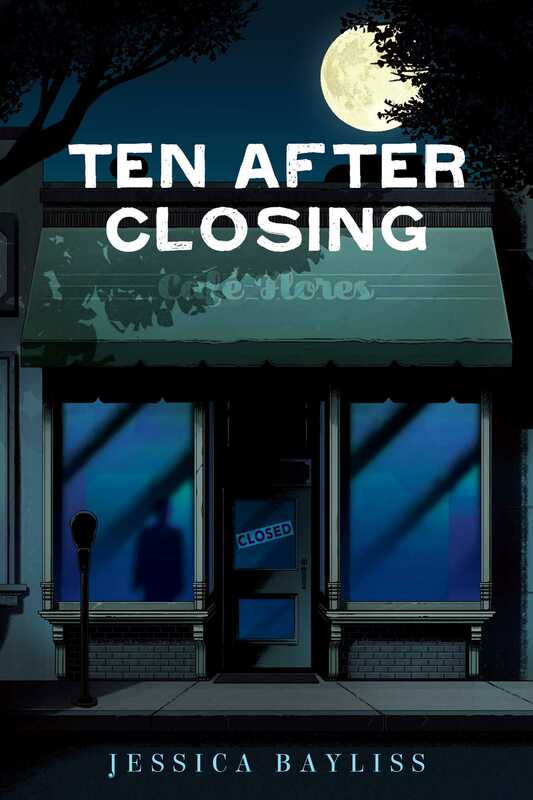 Ten Past Closing is her first young adult novel.